Handcrafted leather bags with a simple, graphic style. My current collection (in progress) is titled "Elements" and is inspired by the surprises that nature reminds us of every day. 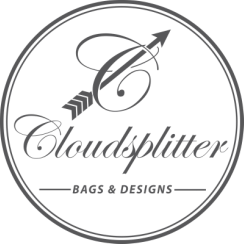 Each bag that I make is crafted with the highest quality of hardware, and is built to last. Genuine leather makes a great handbag that will last for years. Interested in a leather handbag? Feel free to contact me.